CG Pre BEd 2018: Chhattisgarh Professional Examination Board has released the notification for Entrance Examination for admission in Pre BEd 2018 Course for the academic year 2018-19. The entrance exam is conducted online to select the candidates which will get admission in Pre BEd course at various colleges at Chhattisgarh. Candidates could fill their application online. Application Form had been released in online mode and was available at the official website. Those candidates who have filled the application form on time would only be able to get his / her admit card for the entrance exam. After the entrance exam, the result has been declared by the committee on its website. Check complete details on CG Pre BEd 2018 from this article. Latest: Govt and SFS Vacant Seats Phase IV have been released. Also, Phase IV fresh online application form will be available from October 14 to 21, 2018 (5 PM). Scroll down to check more details. Candidates who will going to fill the application form must ensure that whether they are eligible or not for this recruitment. Candidates must fill the application form on time. Admit card has been issued only to those candidates who have filled the application form on or before its last date. Admit card must be carried by the candidates on the examination day at exam center. Candidate Login: Click here for candidate login for Pre B.Ed 2018. 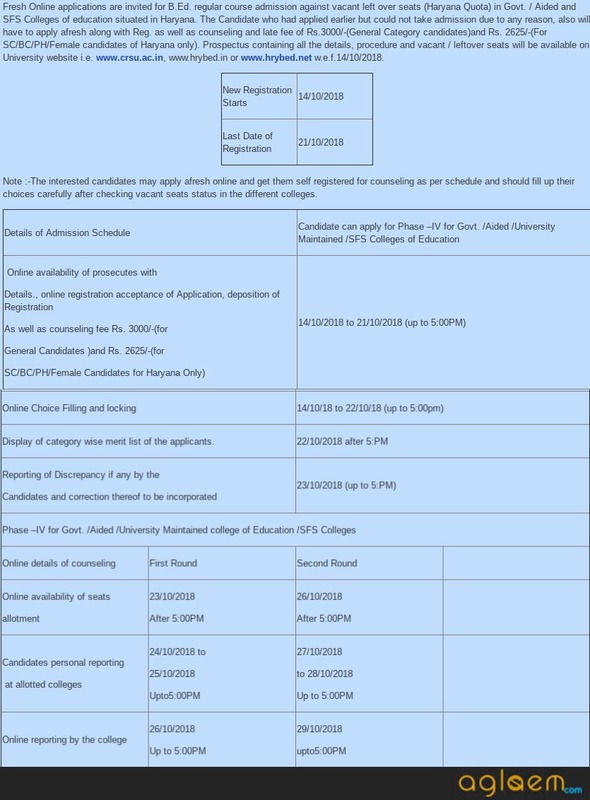 After the process of application andexamination, the counselling schedule for Admission in B.Ed. Course through Pre B.Ed has been released. Check below all the dates for counselling 2018. Counselling: Click here to check New Registration for Online Counselling for Admission in B.Ed. Course through Pre B.Ed 2018. Click here to check Govt Vacant Seats Phase IV. Click here to check SFS Vacant Seats Phase IV. Click here to check Tentative Vacant seat Position for Phase III. Click here to check Tentative Vacant seat Position for Phase II. 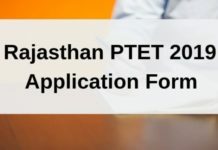 Candidates have to fullfil all the eligibility criteria designed for Recruitment to the post of Pre B.Ed Course organized by Chhattisgarh Professional Examination Board. Candidates who do not satisfy all these conditions will not be eligible for the recruitment. Eligibility Criteria for is given below. Nationality- Must be an Indian National. Domicile Requirement- Candidate must be a Native of Chattisgarh. Academic Requirement- Graduation or Post Graduation degree or its equivalent degree from a recognized institute in any stream. Application Form for CG Pre B.Ed Entrance Exam has released online. Application form is now available at the official website. Candidates who will fill the application form on time will only be allowed to take entrance test conducted to get admission in B.Ed course at various colleges at Chhattisgarh. Before filling the application form, candidates must ensure his / her eligibility. Request for submission of Application form after its last date will not be considered by the authority. The application form will be incomplete, unless, the required amount will not be paid. There will be multiple ways of paying the fees such as Debit Card/ Credit Card/ Net Banking. The General Category Candidates will have to pay Rs. 200/-, while OBC category candidates will have to pay Rs. 150/- and finally SC/ST/ PWD category candidates paid Rs. 100/-. Admit Card has been released after the completion the process of submission of application form. Admit Card is available on its official website. Candidates who have filled the application form on time would only be eligible to get the admit card for the entrance exam. Candidate have to download it from the official website and must carry on exam day at examination hall. Candidate without admit card will not be allowed by the board. Candidate must keep it safe as it will also require in the further processes of recruitment. 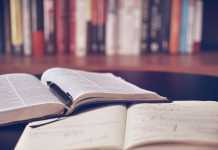 The candidates interested in appearing for the entrance examination will have to face the test that will comprise of 100 questions of worth 100 marks. That means that each question will be of 1 mark. Candidates who will going to appear in Pre B.Ed Entrance Exam 2018 must know about the syllabus for entrance exam. They should know that what will the topics of subjects coming in the entrance exam. For that purpose, we have provided last year syllabus for CG Pre B.Ed Entrance Exam 2018 below. Click here to know the Syllabus of CG Vyapam Pre B.Ed Entrance Exam. All the candidates will be allotted a test center to appear at so that they can write their exam. The venue address will be printed on the admit card. Each year, Chhattisgarh Professional Examination Board selects a number of cities so that students can be accommodated easily. 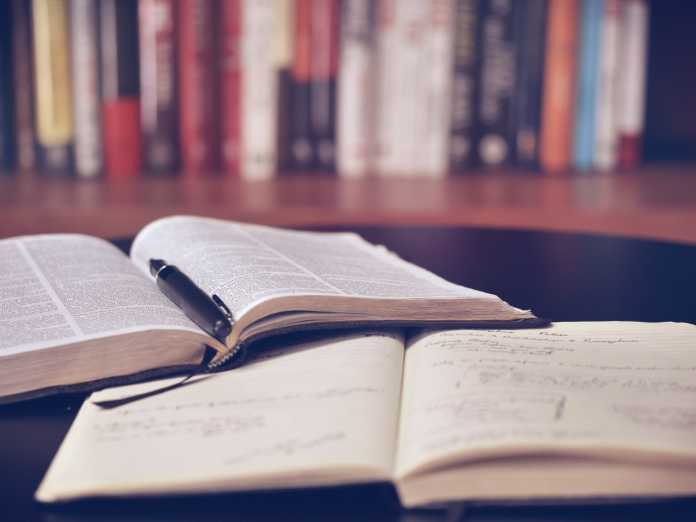 The board tries to fit all the candidates as per their choices mentioned, but in few cases only a different centre may be allocated due to lack of accommodations. Chhattisgarh Professional Examination Board will release the Answer key for Pre B.Ed Entrance Exam after the successful completion of the test. Answer key will be released online at the official website. Candidates who will appear in the Entrance test will be able to check his / her answer key by using its application form number and date of birth. With the help of this answer key, candidates can estimate their marks and also cross their marks with the official answer key’s answers. Result will be released online at the official website. Chhattisgarh Professional Examination Board will release the result few days after the successful completion of the entrance exam. The exam takers would get access to their results after entering their Roll Numbers. The result will contain Roll Number of the candidate, Registration ID, Candidate ID, Gender, Relative’s Name, Category, Class, Domicile, Date of Birth, Total Marks and Overall Rank etc. This result will be prepared on the basis of marks scored by the candidates in the entrance exam. For more details on CG Pre BEd 2018, download information brochure. will it be a online mode exam or offline? @snehasis The entrance exam will be conducted online. You need to attend the counselling process. when will the process of counselling starts??? The counselling will start soon. So kindly stay connected. last date for filling counselling form online? When pre b.ed counseling start? And what’s the process & criteria? There is no official notice yet,will update the same as soon as it is released.Check after some time,will be updating here only. Process and criteria will be updated accordingly. Will there be online counselling? ?